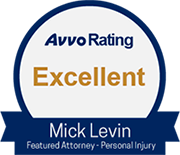 The trial attorneys of Mick Levin, PLC handle vulnerable adult and nursing home abuse lawsuits throughout Arizona. We assist victims and their families in bringing a suit against a person, company, or institution that is taking advantage of the vulnerable adult. Claims of nursing home abuse or neglect from an elderly or disabled loved one need to be taken seriously. Our lawyers have the experience and legal understanding to help you recognize and pursue your options. When you need to consider acting on claims of abuse or neglect, we can help you. We offer free initial consultations. Vulnerable adults may be the victims of neglect or physical, emotional or sexual abuse. Senior abuse is a serious and endemic issue in our society, often involving family and friends of the targeted adult. In Arizona, thousands of seniors will experience some type of abuse each year, with reports of such abuse increasing over 150% over the last decade. A "vulnerable adult," as defined by the state of Arizona, is any person, 18 or older, who cannot protect him or herself from "abuse, neglect or exploitation by others because of a physical or mental impairment,". The Adult Protective Services Act (APSA) was enacted by the Arizona legislature to protect vulnerable adults from neglect, abuse and exploitation. A. A person who has been employed to provide care, who is a de facto guardian or de facto conservator or who has been appointed by a court to provide care to a vulnerable adult and who causes or permits the life of the adult to be endangered or that person's health to be injured or endangered by neglect is guilty of a class 5 felony. 1. At the time of the events giving rise to a cause of action under this section, the person was employed or retained by the facility or designated by the facility, with the consent of the person, to serve the function of medical director as that term is defined or used by federal or state law governing a nursing care institution, an assisted living center, an assisted living facility, an assisted living home, an adult day health care facility, a residential care institution, an adult care home, a skilled nursing facility or a nursing facility. (a) The person was a physician licensed pursuant to title 32, chapter 13 or 17, a podiatrist licensed pursuant to title 32, chapter 7, a registered nurse practitioner licensed pursuant to title 32, chapter 15 or a physician assistant licensed pursuant to title 32, chapter 25. (b) The person was the primary provider responsible for the medical services to the patient while the patient was at one of the facilities listed in paragraph 1 of this subsection. (a) Intentional infliction of physical harm. (b) Injury caused by negligent acts or omissions. (d) Sexual abuse or sexual assault. 6. "Neglect" means a pattern of conduct without the person's informed consent resulting in deprivation of food, water, medication, medical services, shelter, cooling, heating or other services necessary to maintain minimum physical or mental health. Elder abuse cases are subject to a time limit known as the "statute of limitations." In Arizona, such a case must be filed within two years of the injury. 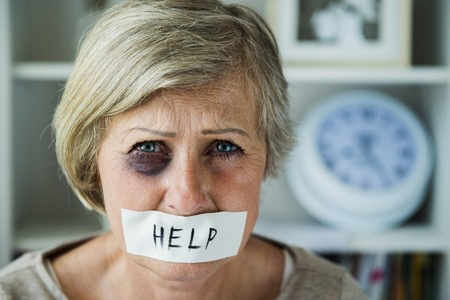 If you or someone you know has suffered from elder abuse in Arizona, please call our lawyers at Mick Levin, P.L.C for a free consultation and to discuss the ways in which we may be able to help you through a difficult time.